Arrived in Manila from the States on Nov. 5, and found a vastly different situation, so far as it affects me and my work, than from the one existing when I left on June 26. First of all, the General has apparently been stricken with the same obsessions with respect to me that he suffered from in the case of Jimmy. He always bitterly resented J’s popularity with Filipinos in general, and his intimacy with Malacañan in particular. So, while I was gone, he reorganized the office, so as to remove me completely in official affairs from Malacañan. Not content with this he re-arranged the office force so that I’m no longer his C. of S., but only another staff officer –he is theoretically the coordinator of the whole group. My section is plans, training, mobilization, education, etc. –the purpose being to keep me absorbed in academic work at my desk, and to rob me of any influence in the Army or at Malacañan. The only thing he forgets is that all of us are attached to Department Headquarters and whether he likes it or not the Senior Office of the U.S. Army on duty with this groups is compelled to make efficiency reports on the others [. . . .] While I was representing the office at Malacañan I kept him informed of everything pertaining to us. Now he gets only those things that are sent to him in letter form. Secretary Vargas is resentful of the change –but I told him it was a matter of indifference to me. I would make no move to recommend a change. Why the man should so patently exhibit a jealousy of a subordinate is beyond me. I guess it’s because he is afraid a conviction will grow in the minds of local people that he personally is not so important to the Army and to the P.I. If this is his thought, he’s taken the worst possible course, because when a subordinate maintains such contacts he can with propriety glorify the position, prestige and value of the Boss. He (if he has any modesty whatsoever, which I doubt) is handicapped in this direction. Administratively the new scheme is so clumsy as to require no comment. Of course, he has accomplished one thing he wanted to do, that is, make certain that I’d get out as soon as I decently can. On the surface all is lovely. I will not give him the satisfaction of showing any resentment. But my usefulness is so curtailed as to rob the job of much of its interest, so I’m going at the earliest possible moment. If the d—– fool had only sent his plan to me while I was in the States I would not have returned; but I guess he was afraid to do this for fear of the explanation he would have had to make at Malacañan. Sec. Vargas knows that I worked honestly, and wirh some effectiveness so it would have been embarrassing to the Gen. to show why I declined to come back. He did not have that much courage! I regret the campaign I conducted everywhere in the States to make him appear a wise counsellor, an asset to the Philippines, and a splendid man in his present post. The A.G. informed me I’d be expected to make up the 4 months & 10 days I was outside the Philippine Islands. This would bring my tour to a close in early March (1940) and I had originally intended asking to stay until end of June, that year, as John could finish school. Now, I’m going to try to beg off the extra four months and get out of here next October. So far as I’m personally concerned all this means nothing; as I have not and never have had any intention of remaining in the Philippine Islands beyond a definite, limited period. My fury is academic rather than practical and actual; [ . . . ] T.J. is no higher (apparently) in his estimation than I. His confidence in our integrity and gentlemanly instincts must be high, at that, because I cannot believe he’d deliberately make enemies of anyone that he’d fear might in the future reveal the true story of his black and tan affair, [ . . . ] his speculations on his chances to be Vice-President of the U.S.; [ . . . ] his extravagant condemnations of Pres. of U.S. et al when he was summarily relieved before he reached San Francisco; his chiselling to increase the emoluments he’s getting from the Phil. Govt; his abject fear that he’ll do anything that might jeopardize his job (rather his salary of 66,000 and all expenses). Oh hell –what’s the use! The point is he knows we won’t tell these things! Now that I’ve jotted all this down I hope that it never again comes, even momentarily, to my mind! Spoke with Gov. Davis last night and learned he was having a conference with Hoover this a.m. Later in the a.m. it was announced that he had resigned and Roosevelt* named in his place. Rain and snow today. Took Gloria home and dined at Guevara’s and then called on Celia Costa. We are beginning just into shape material for hearings beginning January 15. Dwight F. Davis (July 5, 1879-Nov 28, 1945) was Governor General of the Philippines from 1929-1932. 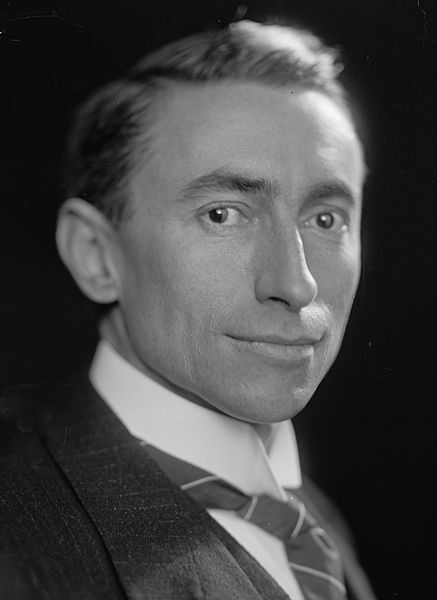 Prior to that he also served as Secretary of War from 1923-1925. He was also a tennis champion and is best known for established the International Lawn Tennis Challenge, later renamed the Davis Cup. Posted on January 9, 1932 December 10, 2017 Author Manuel L. Quezon IIICategories Diary of Marcial LichaucoTags Celia Costa, Dwight Davis, Herbert Hoover, Marcial Lichauco, Pedro Guevara, Theodore Roosevelt Jr.